Vigorous competition between firms is the lifeblood of strong and effective markets. Competition helps consumers get a good deal. It encourages firms to innovate by reducing slack, putting downward pressure on costs and providing incentives for the efficient organisation of production. As such, competition is a central driver for productivity growth in the economy, and hence the UK’s international competitiveness. But, when most dealers bid on cars in the auctions through the same exporter, competition goes away. It is called a monopoly, and it does not benefit the end user, and in this case that would be the importer. Picture this is example. It is based on the New Zealand market, where the majority of dealers purchase their cars through about 3 companies. The cars purchased by the importers are all similar. For example 10 dealers are all purchasing cars through the same large exporter in Japan. This Japanese exporter has one membership in each of the auctions. He can not bid against himself. He must do one bid for all the interests of those 10 importers. 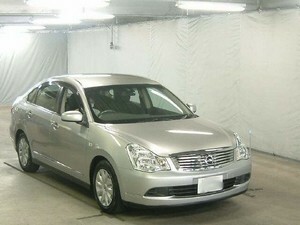 Nissan Bluebird 2006, 35kms, grade 4.5. Nice little car! The cars sells at a real bargain of 240,000yen FOB! Yes, bargains do happen. Dealer number 3, purchases this car for 240,000yen FOB. Of course, ALL the dealers want this car, but only one will get it. 9 dealers will go away disappointed and their competition will bring back a very cheap vehicle to sell in NZ at a large profit. This is unfair competition. The market rate in NZ will not be competitive (too cheap) and supply will be affected. Lets say, rather than all 10 dealers buying through one company, they bought through 10 different Japanese export companies. Now what will be the final FOB selling price in the auctions in Japan? It will sell for 450,000yen to the highest bidder. 9 other dealers will go away satisfied that this car was bought at a price higher than their own bid AND it will come into NZ and at a cost reflecting the competition from the other dealers. 10 satisfied dealers (9 that the car sold at a price above their bidding price and a 10th that he purchased a vehicle within his budget). This is market force competition at work! Have you ever: bid on a car to find out it “sold” below your bid price with no explanation why YOU didn’t purchase it? How often does that happen? So the ideal scenario for importers is a large number of small exporters all competing against themselves. IT IS IMPORTANT FOR AN IMPORTER TO BELONG TO AN EXPORTER WHO PROVIDES COMPETITION WITHIN THE AUCTION, not amongst it’s own customers. That is, the less the number of customers competing within that same company for the same market, the better. Provide Cars is a small company with customers from various markets. We do not have a conflict of interest that biases our customers against their desired purchases.